As an alternative to the traditional incandescent light bulb, LED lights provide significant energy savings. They can be 2,000 percent more efficient than conventional light bulbs and 500 percent more efficient than compact fluorescent bulbs. 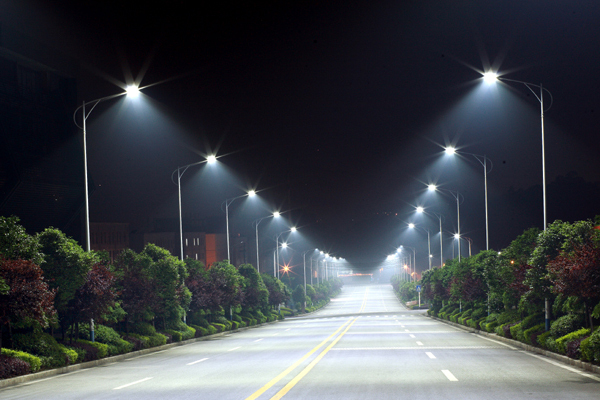 Schubert predicts that widespread use of LEDs over the course of 10 years would save more than $1 trillion in energy costs, eliminate the need for nearly a billion barrels of oil over 10 years, and lead to a substantial reduction in emissions of carbon dioxide, the most common greenhouse gas. All of these advantages make LEDs a good replacement light source, says Schubert, adding that this is why there has been a tremendous recent expansion of the LED industry, which is growing by double-digit rates. However, he adds, the true potential of LED lighting lies in their ability to transform—rather than simply replace—lighting technology. I am not so sure that their advertised Longevity is correct though. Fred Schubert is behind the ball here Such a prognostication is nearly a decade behind what’s already happening in LED lighting. The “City Slickers” One Thing these pronouncements never cover is the reliability issue. My years of experience with Chinese mfg is they always cut corners where it comes to thermal management. It isn’t just keeping the LEDs sufficiently cool, but the power regulator feeding them as well. Also notice the failure to compare vapor bulb performance. I don’t care. I never worried about the cost of operating lights. This reads like a press release from advocacy group. Identical to reports of battery breakthroughs. I switched to LED lighting years ago. I have had one GU10 fail last year (of 13 in use), but the Chinese LBC were rubbish and have been replaced by much more expensive Philips. One thing I’ve learnt is that LEDs don’t like heat; they need very good ventilation. I’ve bought and used a couple of work lights like you see on construction sites. The first one was a classic 500 watt halogen unit. It was mostly useful for heating the garage in the winter. If you tried to use it in a confined space it would drive you out. You could also watch the electric meter rev up when using it. A few years later I bought a different unit, same light output but 25 watts – LED. What a difference. You can literally work right next to it with no heat issues or other downsides. I found what I think is the same article, same editor and same publication from 2008. If this article is 0 years old the prognostications are, indeed, a decade behind. The general claims seem exaggerated but “sorta” true(ish). At 100 lumens per watt the light conversion is great. Without the waste heat enclosed fixtures can nor furnish lots of light. The price has dropped to the point of producing real savings. I can but a 1600 lumen 5000K LED for under $5. Allows lighter wiring too. True progress now with the prices down. I have mixed feelings about LED lighting. It is true that the technology does now achieve remarkable light levels per watt. As an electronics enthusiast of many years’ standing, who can remember the dim little red indicator lights which were the LEDs of the ’70s, I find the improvements in efficiency most impressive. My (Aldi) 10W torch is a true Daylight Generator, while even the Pound Shop offerings put most of the old filament bulb torches to shame. “White” LEDs, though, have “issues” in that they do not produce light in the same way as the pure-colour LEDs – they consist of blue LEDs irradiating fluorescent compounds, which then fluoresce to fill in most of the rest of the spectrum. The problem is that the underlying blue LED is practically bang on the wavelength used by the human brain to check for daylight: this is the same phenomenon behind the warnings you see in the media telling parents to limit their children’s screen time in the evenings. This caveat isn’t only true for the “daylight” coloured bulbs, but IME is also true, to a not much different degree, for the “warmer” colours. The search term “suprachiasmatic nucleus” (the relevant centre in the brain) will find you plenty of information. It’s probably not a problem if streetlights keep nocturnal drivers more awake and alert, but if that light happens to shine into your bedroom it WILL cause you sleep problems. I use LEDs around most of the house, but sometime in the evening, about the time I turn the PC off, I go over to “proper” light bulbs. Since taking this habit up, I find my sleep is better – better, at anyrate, than it was when I naïvely went full-LED when they came in. And “proper” lightbulbs still have their legitimate uses, too. I wouldn’t have anything else in my workbench Anglepoise, as it also keeps my hands gently warm while I’m working! Google search that problem, it’s in multiple cities. Confirms my bias against people, always men, who denominate themselves as Initial, Another Forename, and then Family name. As in ” N. Other Winker”. Just look at the photo. Does this look like environmentally friendly lighting? It is a disgrace that these lights are being installed. It is ecological and social vandalism. We should fight it every inch of the way, if only for the sake of birds and insects and all those people who don;t want to live in a lorry-park.